The official search for the UK’s small business with the biggest heart has begun. Now in its third year, the BusinessesForSale.com Small Business Big Heart Awards celebrates the many wonderful ways UK’s small business community helps individuals and charitable causes that might otherwise be overlooked. 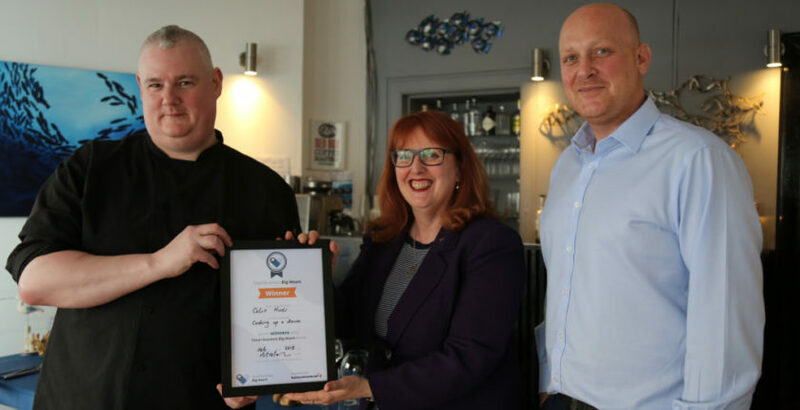 Last year’s Gold Prize winner, Edinburgh’s Kilted Lobster Restaurant, was selected for providing gourmet dining experiences to the homeless, giving fine feasts to families who didn’t dine out owing to the special needs of one or more in their number, as well as helping those without access to education to train and find work. Other special commendation Small Business Big Heart winners have come from all over the UK, including Kent, Moray, Dorset, Greater Manchester, Aberdeenshire, the Midlands, Norfolk, Greater London and Cheshire; so it’s anyone’s guess where the 2020 prize winners will come from. Collectively this bunch of caring small businesses have taken pensioners shopping, created sports teams for transplant survivors, supported pet care and animal rescue, introduced Santa to needy children, given haircuts to the homeless, designed housing for the elderly and much, much more. Rufus Bazley, Marketing Director at BusinessesForSale.com, said: “Our research shows how important the small business community is in terms of the support it delivers to small, low profile charities in their localities. And we know the motivation to help is not a cynical marketing ploy but a sincere desire to make a difference. The 2019 Small Business Big Heart Awards are FREE and easy to enter. The Winner receives £1,000 for a charity of its choice. To enter or nominate a business go to https://www.surveymonkey.co.uk/r/SBBH2019 . Entries close on 17 May.